The question ‘can liquor go bad’ is a very broad one. Basically, every liquor can go bad, but the chance of that actually happen is most cases is very slim. In other words – if you’ll store liquors properly (that’s very easy to do), most of them will be fine for a very long period of time. Why would you say ‘most of them’ instead of ‘all of them’? Liquors can be divided into at least two kinds: base spirits (like vodka) and liqueurs (like Kahlua). While spirits have a very long shelf life and when stored properly will be fine for years, liqueurs will go bad because in most cases they contain ingredients that can go bad (eggs, dairy products). 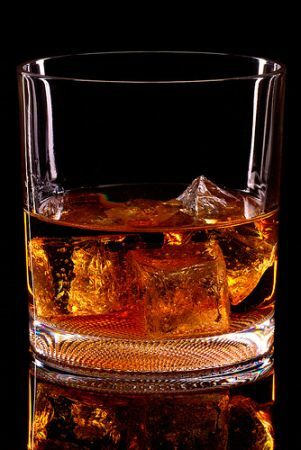 If you would like to learn more about liquors, read on! When it comes to storing liquors, there are only a few things to remember. First is: always keep them in a cool and dry area, possibly away from light. Also, make sure it isn’t in a place where temperature fluctuates a lot. Because of that, storing liquors in the pantry or in the cellar is probably the best thing to do. After opening the bottle make sure you always keep it sealed tightly when not in use. Some liqueurs might require to be stored in the fridge after opening. If that’s the case, it’ll be explicitly mentioned on the label and it’s what you should do. That’s about it. Here’s the place where differences between liqueurs and spirits are very important. Basically, base spirits (like vodka, rum, etc.) have an indefinite shelf life. If you’ll store an unopened bottle in the pantry, you can leave it there for many years and it will stay fine. After opening the bottle it can also be stored for many years, but the alcohol will start to slowly evaporate and it might lose some of its taste. If the bottle is half full or less, it’s recommended to pour the liquid into a smaller bottle, so the evaporation process will slow down a bit. When it comes to liqueurs, their shelf life varies. Some of them (e.g. coffee liqueurs without cream) don’t have any ingredients that will go bad, so they, similarly to spirits, can be stored for many years. There are also other liqueurs that contain eggs, cream, or any other ingredient that can go bad. If that’s the case, their shelf life varies between products. You’ll be able to find a ‘use by’ date on the label and the best piece of advice is to stick to it. Of course the liqueur won’t be bad a day or two after that date, but if it’s a month or two after that date, I strongly suggest examining it well before drinking. When it comes to spirits, you’ll be able to spot a spoiled one easily (smell, color), although that happens extremely rarely. In case of liquors look for color changes, crystallizing sugar, curdling, etc. If a liqueur is bad, it should smell pretty bad. Last thing you can do is to taste a bit. If it’s bad, you’ll know. The only thing to do with spoiled liquor is to discard it. As you should know by now, liquors in general can go bad. While spirits have a very long shelf life and go bad very rarely, some liqueurs have a pretty should shelf life (like 6 months to a year) and actually go bad after that period of time.